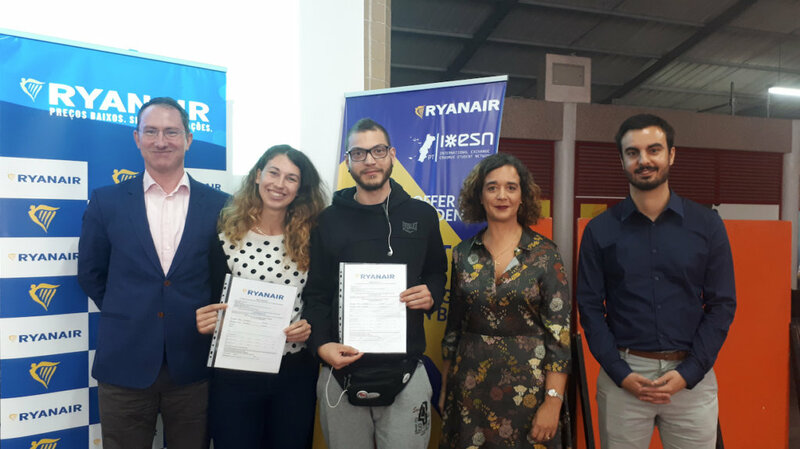 Ryanair, Europe’s No.1 airline, today (26 Oct) celebrated 200,000 bookings by Erasmus Student Network members on its exclusive dedicated platform, at its latest student mobility event in Lisbon. Over 200,000 ESN members have signed up, saving over €6.6m on their travel costs. The second year of the exclusive partnership is now live on the Ryanair.com website, and students from over 500 Universities across almost 50 countries can and avail of these exclusive travel discounts with Ryanair. “Ryanair and ESN have done more than any organisations to promote European student mobility over the past three decades. We are pleased to have passed 200,000 bookings on our Erasmus Student Network platform, which offers university students across Europe a range of exclusive flight offers, free bags and tailored discounts to suit their budget. These 200,000 students have saved over €6.6m with Ryanair so far, and we hope many more ESN students will avail of these fantastic discounts over the coming months and years.